To some, Chicago is the City of Big Shoulders and Magnificent Miles, but behind the postcards are blue-collar neighborhoods that are the beating heart of the city. 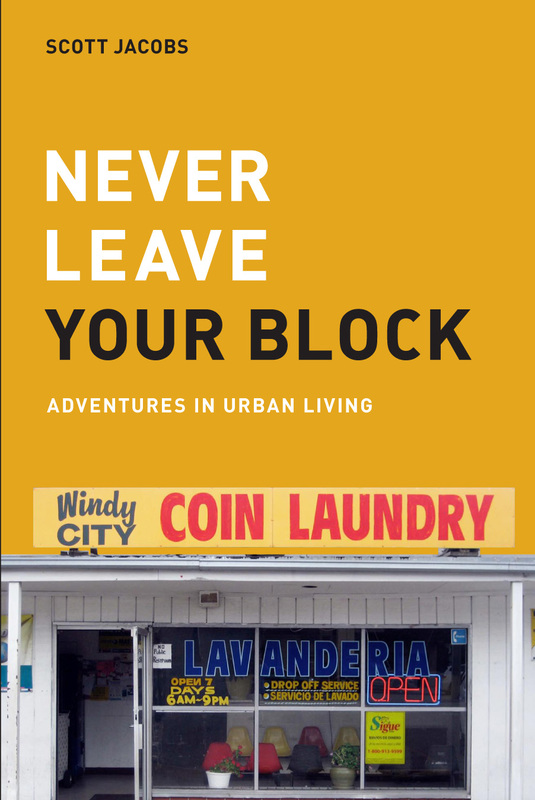 Never Leave Your Block takes you into Chicago’s Bucktown and nearby environs to meet the people whose strength, resilience and character are the very bedrock of Chicago. Here in the old stomping ground of Nelson Algren, Saul Bellow and Mike Royko, Scott Jacobs explores what happens when gentrification comes to a modern city. What institutions endure? Who survives? And how does a diverse community come together to keep the fabric of a city strong? Follow along with Jacobs as he wanders an inner city park reclaimed after decades of gang violence. Join the Bucktown Seniors on a field trip to Horseshoe Heaven. Meet Hector and Joe, once partners now neighbors and rivals in the haircut trade. Spend a season with the teams in the Holstein Park adult basketball league. Shop the bottled water aisle at Dominick’s. Eat breakfast at Whole Foods. Kibitz with the young mothers at Moms & Tots . . . but don’t forget to shovel the sidewalk. Your neighbors are watching. In this intimate portrait of his neighbors, Jacobs weaves his own experiences raising a young son into a bright, funny look at how urban communities like Bucktown are shaping the future of America’s cities.